Any blog, in order to be fully functional, needs to use plugins. These tools make a site more interactive and appealing compared to a passive one. Regardless of the blogging platform you use, there are plenty to choose from these days and many can be used for free. You just need to do a little research and get to know them so you can select the ones that will suit your needs. 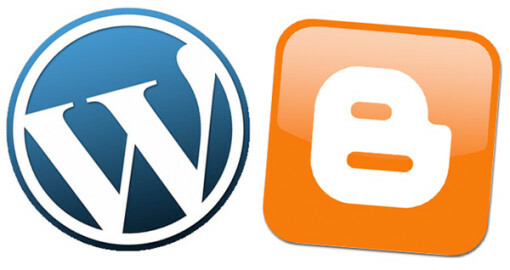 WordPress is considered the most popular blogging platform. Launched in 2003, it has evolved from being a blogging platform into a content management software for non-blogging websites. Many companies today are utilizing it for their main websites. WordPress has numerous plugins available covering the different areas of a website. These tools have varied purposes but primarily, their goals are to make a website more attractive to internet users, more interactive, search-engine friendly and fully secure without being victimized by hackers and spammers. The floating social bar is said to be the fastest social media plugin for WordPress. It displays a horizontal floating bar with social media buttons that can help readers share your blog’s content with other sites. If you want to protect your blog, the limit login attempts plugin is a must. This tool puts a limit to the failed login attempts that any user can make to enter your admin site thereby preventing any damaging attack. A WordPress video plugin is also great to use particularly for music or podcasting sites. It’s easy to install and some of them even lets a user display a video gallery on their blog. In terms of flexibility, Blogger may be behind WordPress but it does have plugins worth using to ensure your blog is as efficient and interactive as you want it to be. On Blogger, the plugins are more known as widgets. A popular widget that’s highly recommended for users of this blogging platform is the “floating social media sharing bar.” This is the one you see floating on the left column of a blog that floats while you’re scrolling through the page. It is very effective in letting readers easily share your content on their favorite social networking sites. The “link within related post” widget is also an effective tool. It is a popular service that displays a list of related articles at the bottom of every post on your blog. This is helpful in sharing relevant content with your readers. If you’d like to show the categories available on your blog, the “label cloud” widget is best to use. It makes use of the CSS and creates a cloud widget that is sure to easily grab your readers’ attention. But keep in mind that it’s not enough to simply install and activate these plugins. Just like any software application, they need to be updated every now and then to ensure that they continue to make your blog interactive and easily searched.